TMX PowerStream Professional is a comprehensive real-time market data application designed for the Financial Services Professional, offering fast, reliable, low latency market data, research and analytics. TMX PowerStream Professional delivers tick-by-tick data, market depth/level 2, options, futures and more. 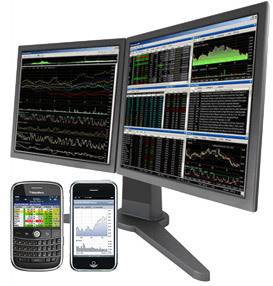 It features completely customizable screens, advanced charting, comprehensive technical analysis, news, research and more. Contact us about our cost-effective custom packages. If you are an existing TMX PowerStream Professional user please login here. Please fill out the email contact form or call us to inquire about our TMX PowerStream Professional packages. A sales representative will be happy to discuss the TMX PowerStream Professional packages and options available.